I use a dropper full every morning in my latte: It naturally sweetens it, without adding any other sweetener. Its so easy to take and this company is the only reliable one with great research to back it! I take it for immune support with Lupus. For general use as a dietary supplement, 5-6 drops of Grifron® -Pro D-fraction® three times daily between meals. 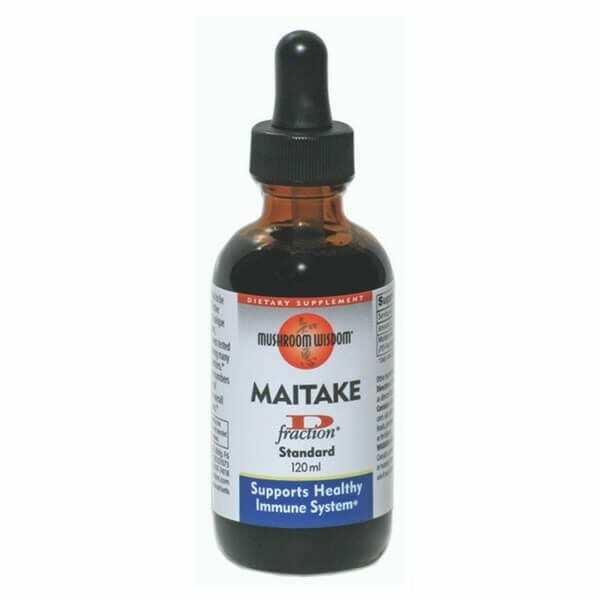 For maximum impact, Maitake D-fraction can be consumed in amounts from 0.5 mg to 1.0 mg per kilo of body weight per day. (Note: To find out your weight in kilos, multiply your weight in pounds times 0.45. Example : 150 lb.= 68 kilos (150 x 0.45). The total daily amount derived from this maximum dosing ranges 34 mg to 68 mg of pure D-fraction, which is approximately equivalent to 34 to 68 drops of Grifron® -Pro D-fraction® . Use as instructed by your health-care professionals. The benefits of Maitake D-fraction may be maximized if combined with whole Maitake mushroom products. CONTAINS NO alcohol, sugar, yeast, mold, corn, salt, wheat, soy, artificial colors, dairy foods, preservatives or synthetic pesticides or fertilizers. This product contains 6,000 mg of standardized extract from Maitake mushroom (PD-Fraction®) in an alcohol-free vegetable glycerine base.